Capital spending on local roads in England is at its lowest level for well over a decade. In the last two financial years £1.8 billion has been spent annually on capital works which include road renewals and improvement. This is the lowest amount since 2001/2. Much of the money for capital spending by councils comes from the Department for Transport in the form of the Highways Maintenance Block Grant but that fell by 18% in real terms between 2011/12 and 2014/15. Other sources of funds for capital spending include borrowing and capital receipts. English councils are responsible for maintaining 185,000 miles of local highways, 90% of which are minor roads. Access to some 25 million properties is by local road. Almost one in five (18%) miles of unclassified road is in need of maintenance, four times more than motorways and major A roads. The condition of roads and pavements is routinely a major concern amongst voters when it comes to transport matters. 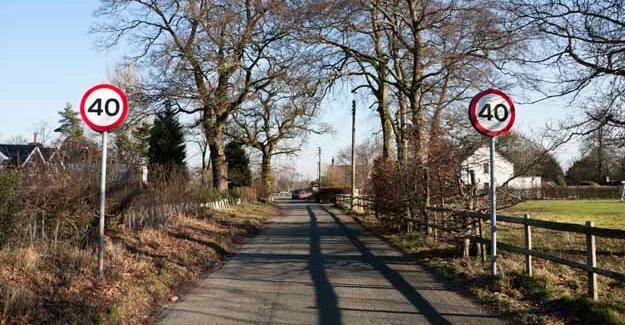 The analysis is contained in a report by transport consultant and RAC Foundation trustee David Bayliss: The Condition of England’s Local Roads and how they are Funded. For example, the replacement of a street light would be a capital expenditure. Replacing a bulb in a street light would be revenue expenditure. Filling in a pothole as a short-term fix to keep a road useable is revenue. Cutting out the damaged part of the carriageway and replacing it with permanent fix is capital. “Just about every journey we make starts and ends on a local road so how they are funded is critical to us all. “But local government finance often seems like a riddle, wrapped in a mystery, inside an enigma, even for those who employed by local authorities. “What this work tries to do is unravel where money for highways maintenance comes from and where it is spent. The conclusions are worrying. Not only have there been big cuts in council budgets in recent times, there has also been uncertainty in what money will be available in the future. “Perhaps we are at a turning point. The government has pledged funds for capital spending on local roads for the next six years of £976 million annually and that certainty, as much as the cold, hard cash, is welcome. “By contrast money for routine maintenance is under severe threat and not fixing minor problems today stores up major problems for the future.